Sometimes, you wonder about that one big question: what if you went on a dreamy island getaway and never left? This is a major sentiment that probably struck the ultra-wealthy and prompted them to acquire a 7-bedroom modern listing with a touch of Zen right off the bat. Being neighbors with the likes the who’s who in Silicon Valley and Wall Street serve as a wonderful inspiration to do so, but sometimes it boils down to how one feels about a certain place at a certain time. To concretize it further, what makes a move to the Big Island of Hawaii one of the best decisions ever? “We were planning to take a year off, and it has turned into three,” said Tyler Mercier, citing his love for hiking around an active volcano, tasting tropical fruit at the nearby farmer’s market, and finding an empty beach for himself and his wife. A beautiful 5-bedroom estate in Hualalai Resort situated near an impeccably outfitted clubhouse, or a plantation-era house with a backdrop of the imposing Kohala Mountains. How about a gorgeous oceanfront development with unhindered beach views in Kukio? Whatever you’re in the market for, there’s a great chance you’ll find it on the Big Island, a sweet, 4,030-square-mile parcel of Earth that boasts of unparalleled luxury at the right price. See yourself staying in a fast-paced trade while leading a slow life, just like many of the Big Islands’ residents who remain as topnotch bankers, IT executives, and company leaders while they go snorkeling, playing golf, and feasting on the island life on the regular. 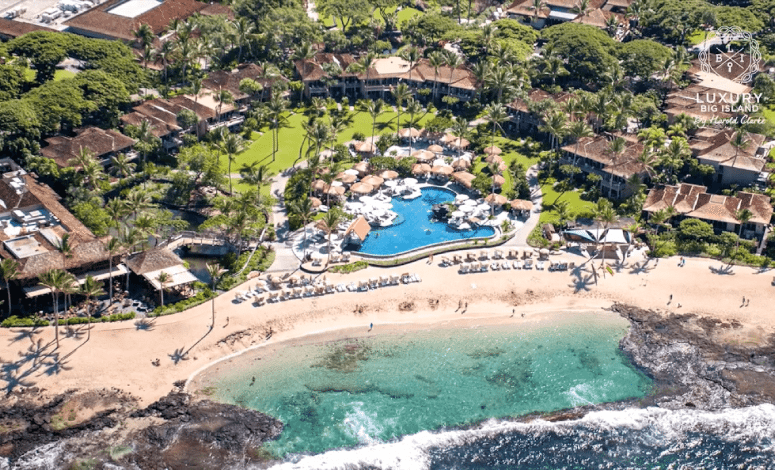 Big Island properties also offer a great option for foreign buyers to operate their business away from home, send their children to the best U.S. universities, and live the good life all at once. Premier listing agent Harold Clarke harps on the sense of community that this Hawaiian island offers prospective clients. Pahor echoes this sentiment, saying one would never – in a million years – think of the scene playing out on the Big Island every day: multibillionaires with their T-shirts on, relaxed and playing golf just like any other person in the resort. “That has to be the fun factor when you go there. Everybody’s just so relaxed,” he adds.